On the side I design tattoos. This one was inspired by a Captain America quote. 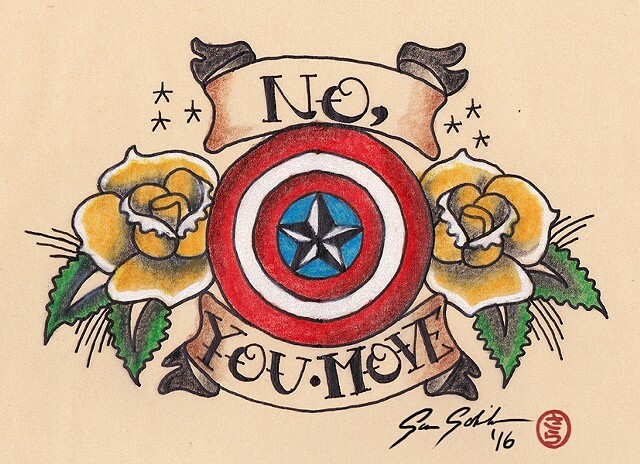 The tattoo's style was inspired by Sailor Jerry's style which was popular in the US around WWII--the time Captain America was created. The nautical star on the shield is a symbol of guidance, leading one home. The roses are orange symbolizing love born of friendship as well as enthusiasm and intensity.